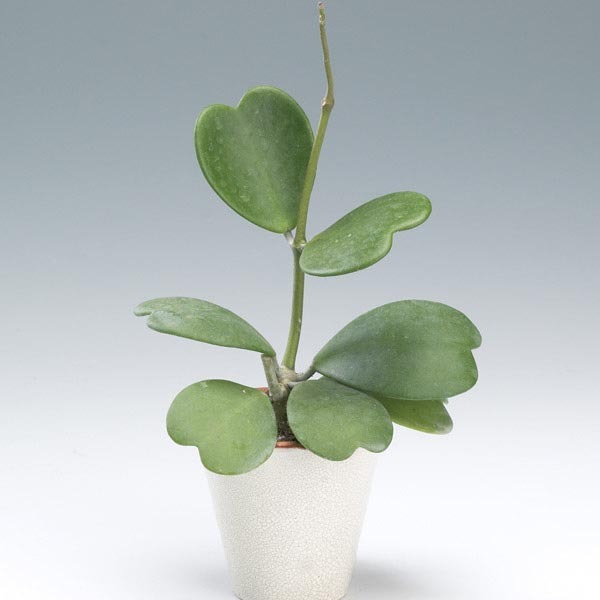 This is a fun and unusual plant that is commonly called “Sweetheart” or “Valentine” Hoya because its thick leaves that are shaped just like hearts! The vining stems produce clusters of dainty, fragrant flowers over a long period. Easy care and an excellent choice for a gift plant. Looks great grown in containers and hanging baskets. Ideal for growing in a container and training to a small trellis. Allow soil to dry between thorough waterings. Apply a balanced liquid fertilizer monthly. Trim as needed to shape.